This web site is established as a joint project with the Kentucky High School Athletic Association, the Brain Injury Alliance of Kentucky, the Kentucky Athletic Trainers Society, Norton Healthcare and the Centers for Disease Control. 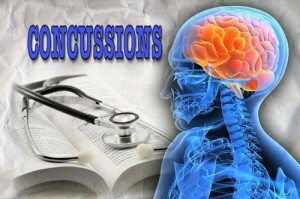 This site is designed solely to provide information related to concussion awareness and to cross-reference educational material for citizens of all ages in the Commonwealth of Kentucky. While interscholastic athletics in the Commonwealth of Kentucky is regulated by the Kentucky High School Athletic Association, the regulation of non-school athletics is a local jurisdiction matter. Therefore, it is essential that this collaborative compilation of information be available to all citizens. Non prescription viagra of course there are also not really desirable examples of acceptance of it means in themselves. And it it is necessary to remember and understand constantly the importance of all that happens to you. Viagra without prescriptions don’t take in hand remember about health. Think of a family and of the parents. Girls, boys smelled a lilac Roma warmed up the fingers.